Any Christian who has traveled to Israel knows the almost unexplainable sensation and mixture of wonder, expectancy, joy, spiritual longing, and the tinge of heartache, when first driving up the steep highway out of the desert, and catching the first glimpse of Jerusalem. It’s not unusual for Christians to weep. 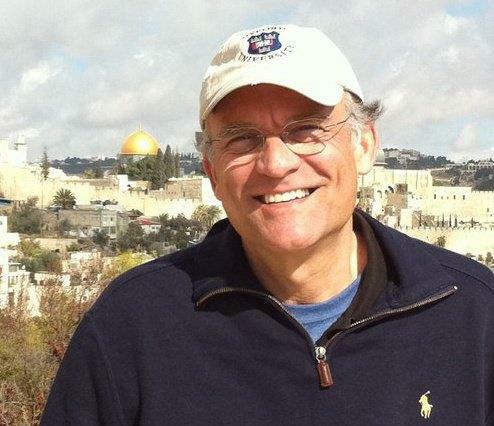 I’ve been privileged to enter Jerusalem many times, and the sight of the Holy City of God always stirs my emotions. Why do Christians, from around the world, feel such a strange fascination with the ancient Jewish city? What is the unmistakeable feeling that, in some unexplainable sense, when we are in Jerusalem, we have come “home”? Jerusalem holds a unique place in the hearts of Christians because so many significant New Testament events occurred there (in addition to the obvious importance it holds in our Old Testament heritage). We have spent our entire Christian lives studying the New Testament and Jerusalem figures prominently in some of the most important events in Scripture. Allow me to highlight a few. When Jesus was an infant in Bethlehem, 4 miles from Jerusalem, an entourage of Magi entered Jerusalem enquiring about the one “born King of the Jews.” This is the first reference in the New Testament where Jesus is identified as King. Jesus is first called “King” in Jerusalem. When Jesus entered Jerusalem the week before the cross, He was hailed as a King! One of our Lord’s most passionate displays of anger flared in the Temple when God’s House was not used for worship! His declaration, that His House is to be a “house of prayer” was uttered in Jerusalem! The last time you received Communion, did you recommit yourself to following Christ and holiness in life? The most famous meal in history- The Last Supper, which continued as a treasured spiritual tradition throughout the Christian Church for the last 2000 years, started in an upper room in Jerusalem! If you have ever studied “End Time” prophecy, you spent a lot of time in Matthew 24 reading and considering the words of Jesus in ‘the Olivet Discourse.” The entire teaching took place in Jerusalem! On the night Jesus surrendered His will completely to God’s redemptive plan, He was praying in a garden on the Mt. of Olives in Jerusalem. The greatest event in human history- the payment for our sin upon the cross- the sacrificial death of Jesus -took place in Jerusalem, Israel. The Resurrection of Jesus Christ took place in Jerusalem! He is alive forevermore! The visible, bodily ascension of Jesus took place in Jerusalem! The mighty, world changing moment when the Holy Spirit descended upon the praying church occurred at the Feast of Pentecost in Jerusalem! Millions of sermons have been preached in the last 2000 years, but the first sermon ever preached, by the Church of Jesus, took place in Jerusalem! The Church takes many forms today but the original blueprint was drawn by God. The Church was actually born in Jerusalem! Jesus is coming again and when He does, He will stand upon the Mt of Olives. 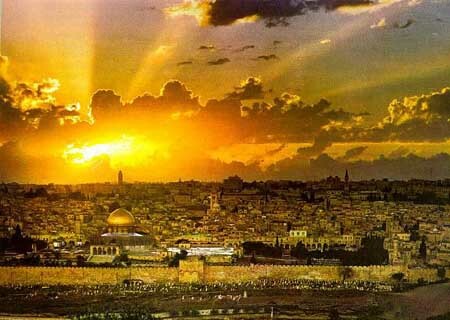 Jesus is coming back to Jerusalem! Very good points. Can’t wait to go myself one day. When? Not my choice, but I hope it’s soon! God bless.